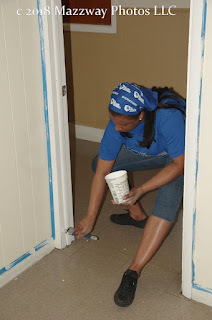 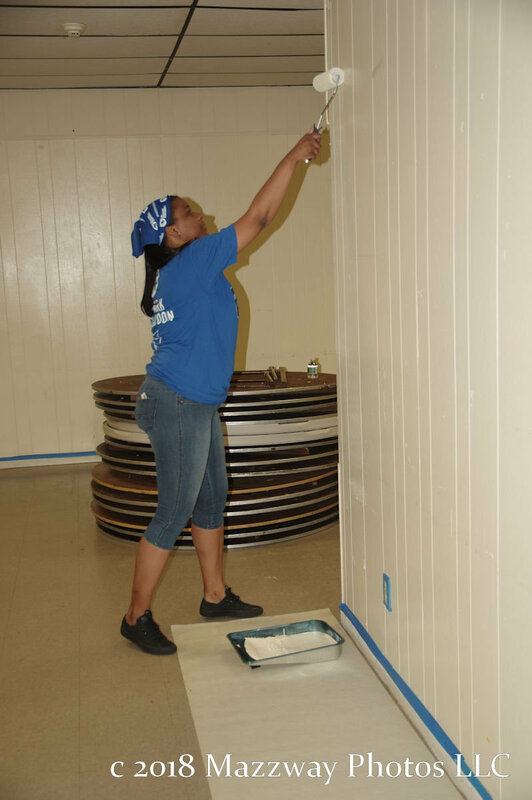 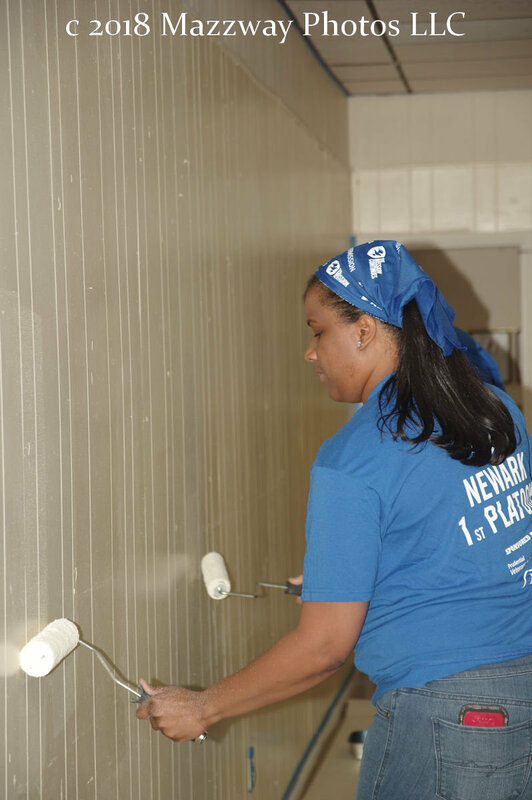 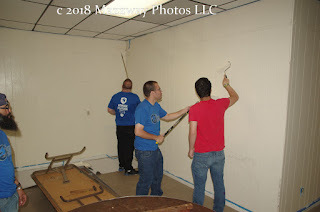 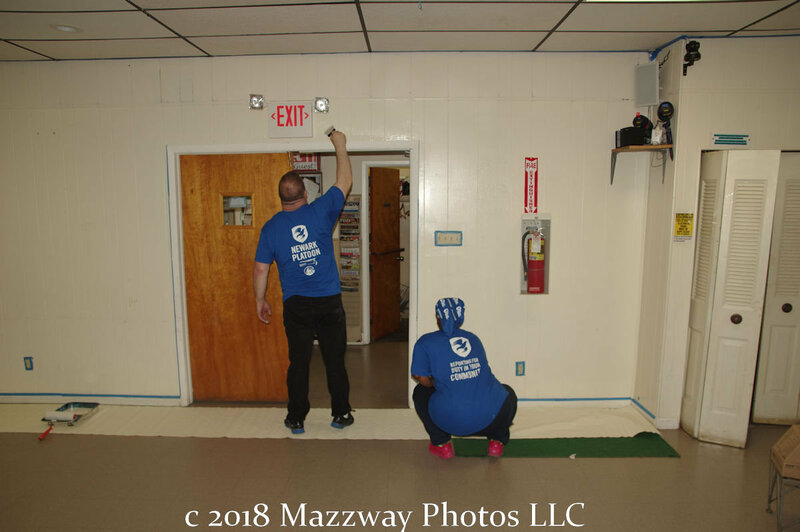 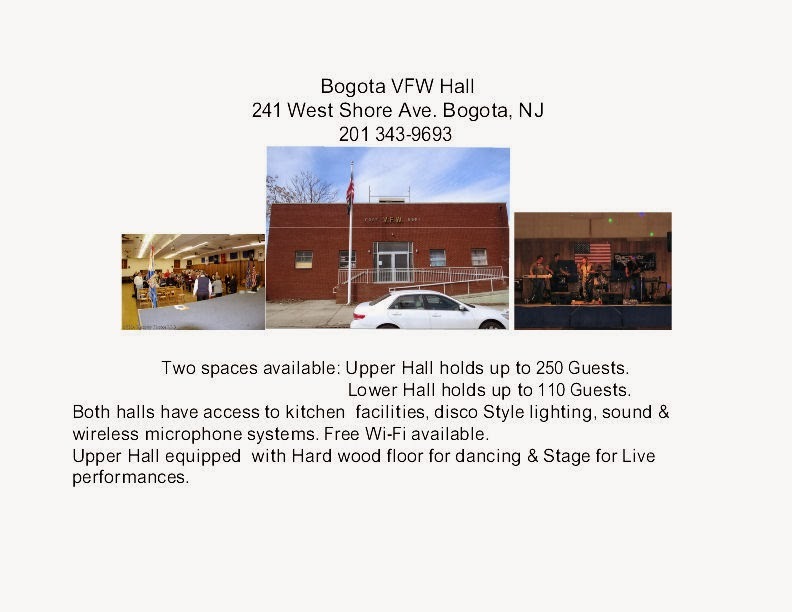 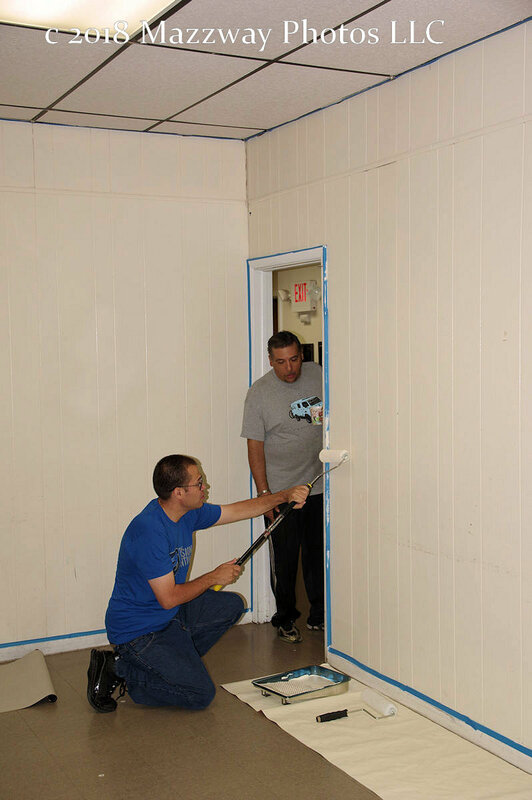 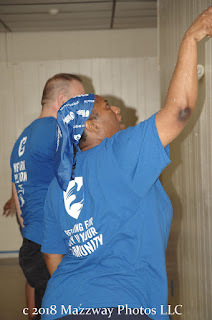 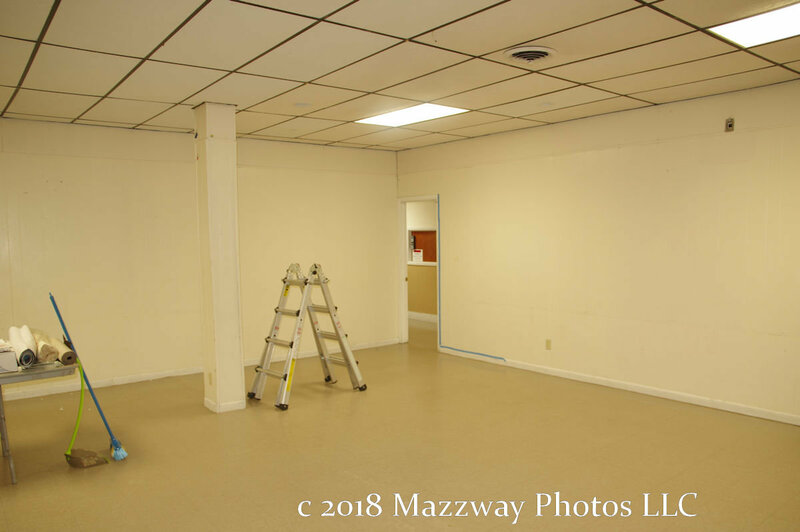 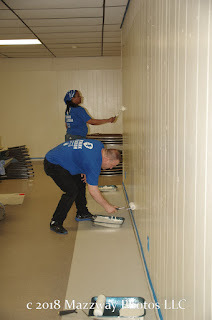 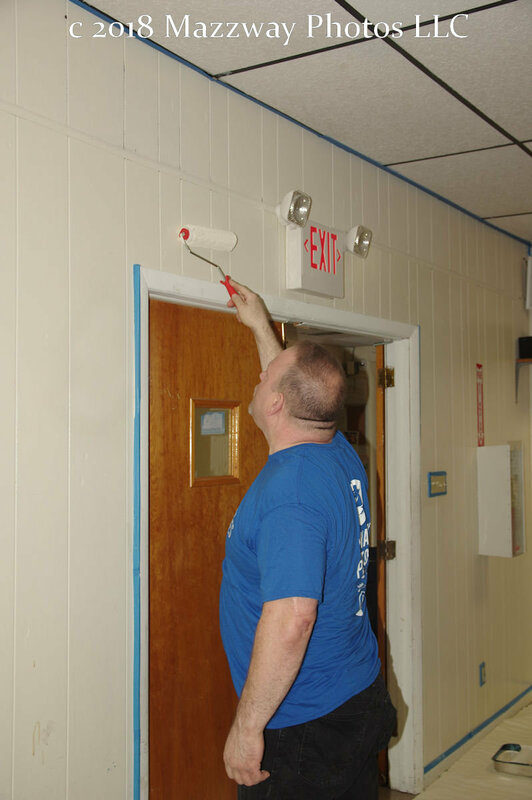 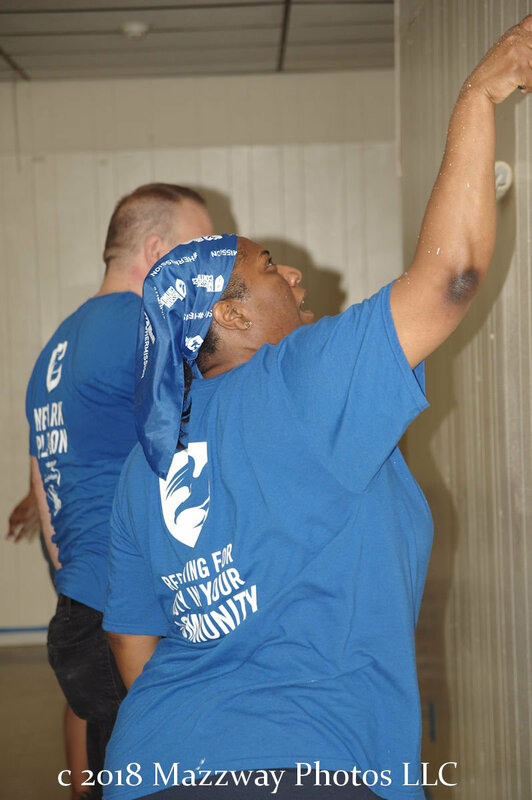 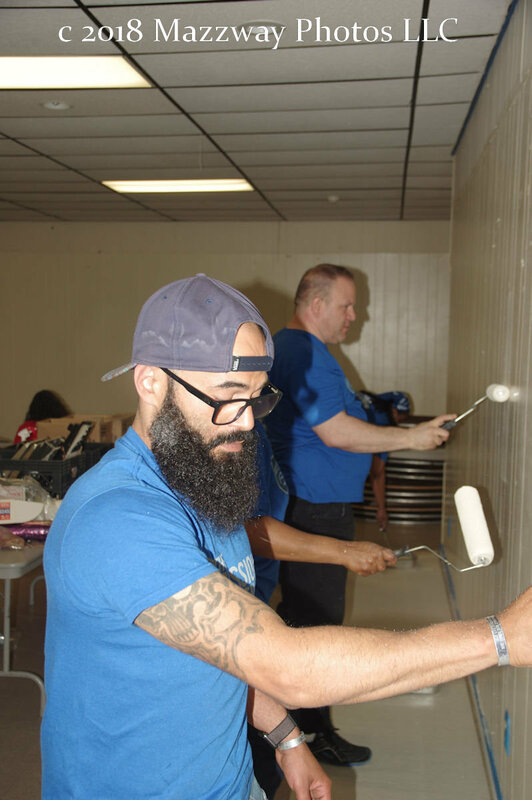 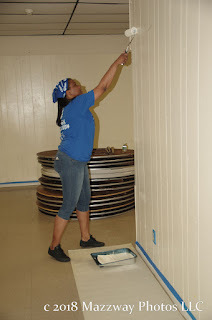 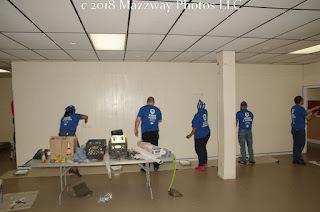 On Saturday-9-June Volunteers gave the their time to repaint the lower hall of the Bogota VFW Post #5561. 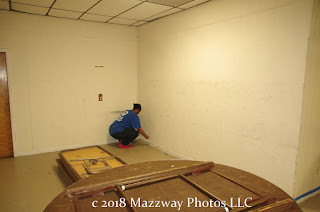 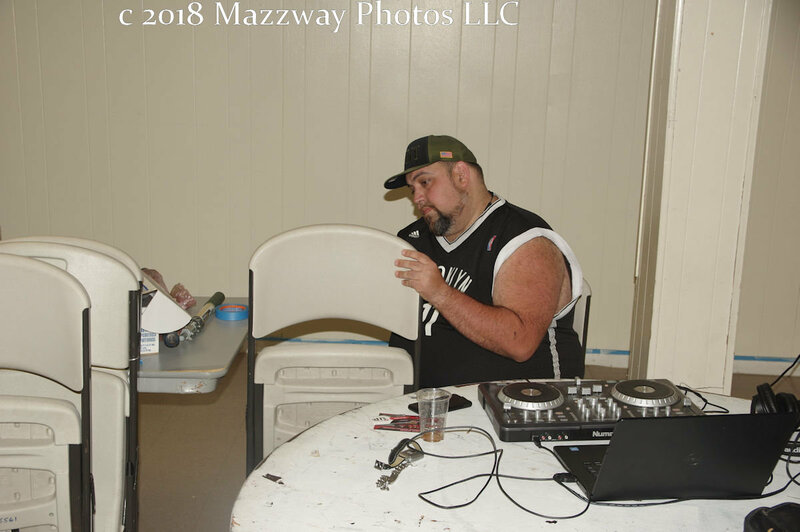 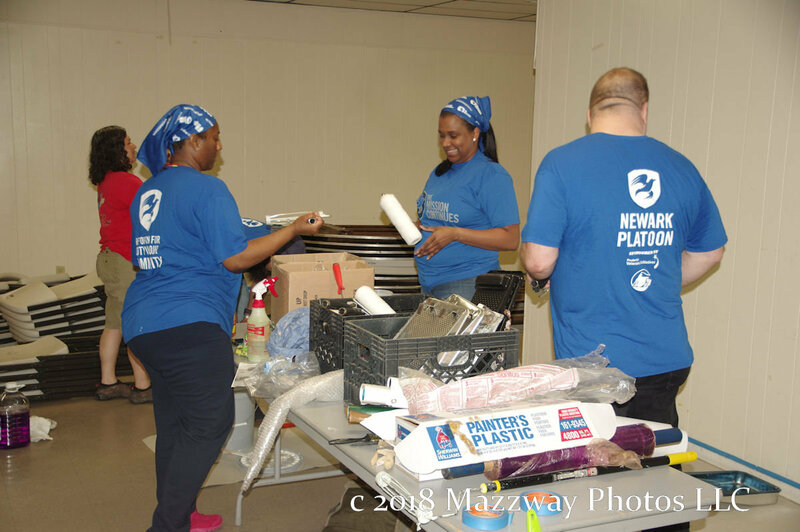 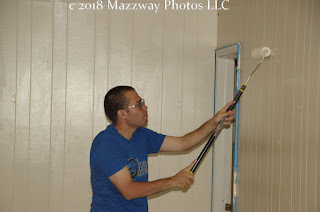 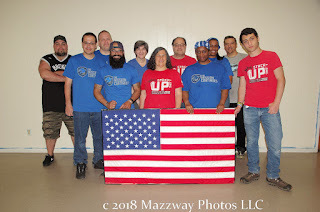 Members of the Newark 1st Service Platoon of The Mission Continues and Stack-Up to give the room a fresh look for the upcoming banquet season. 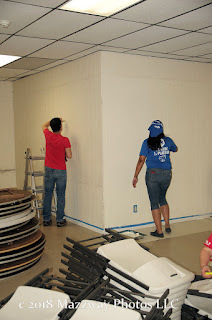 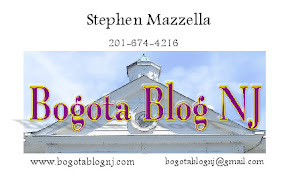 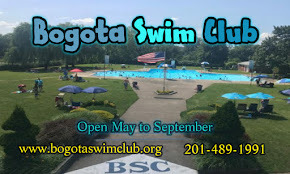 They were joined by Bogota Councilwoman Daniele Fede to clean this space. 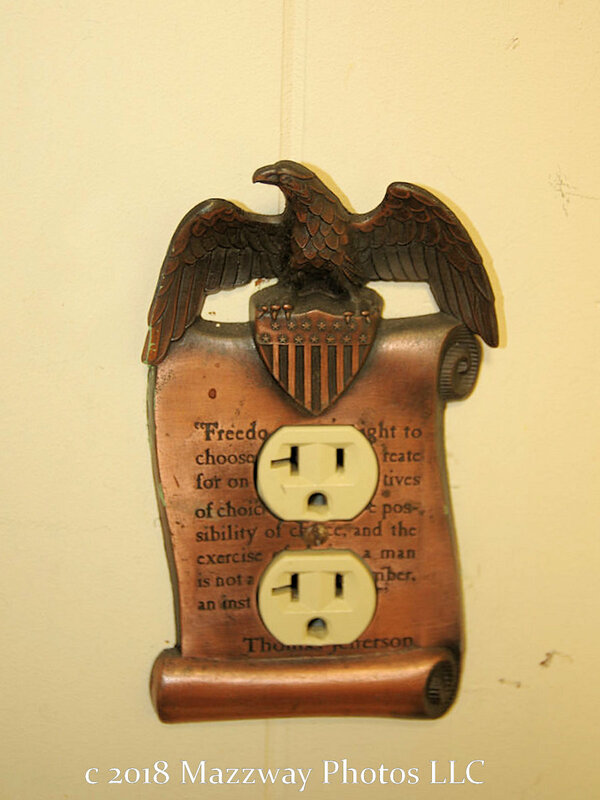 Wall and trim were painted to remove wear and tear for use. 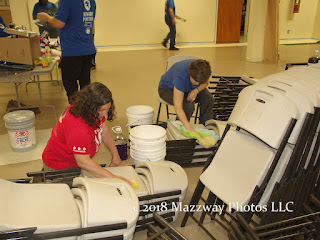 Chairs were scrubbed down after year of use. 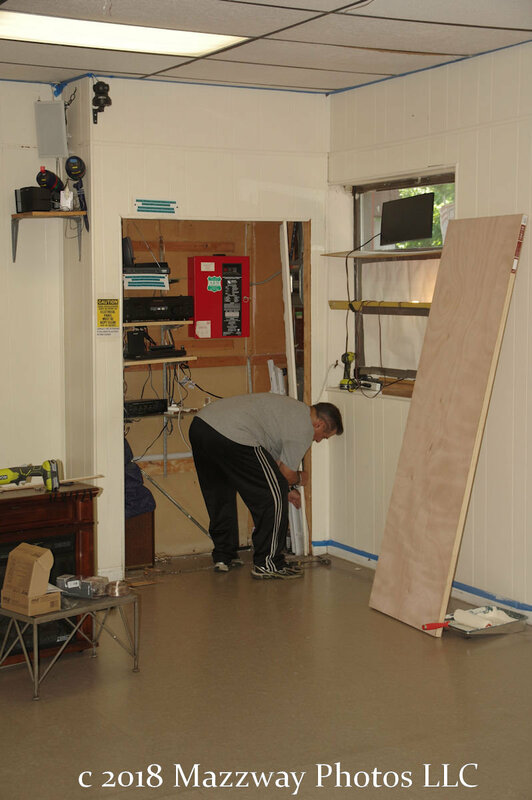 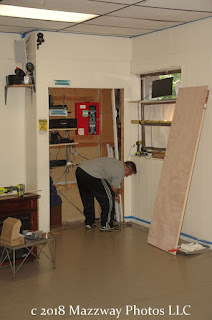 Anew set of doors were added to the sound cabinet and the floor was given a good mopping at the end of the day.